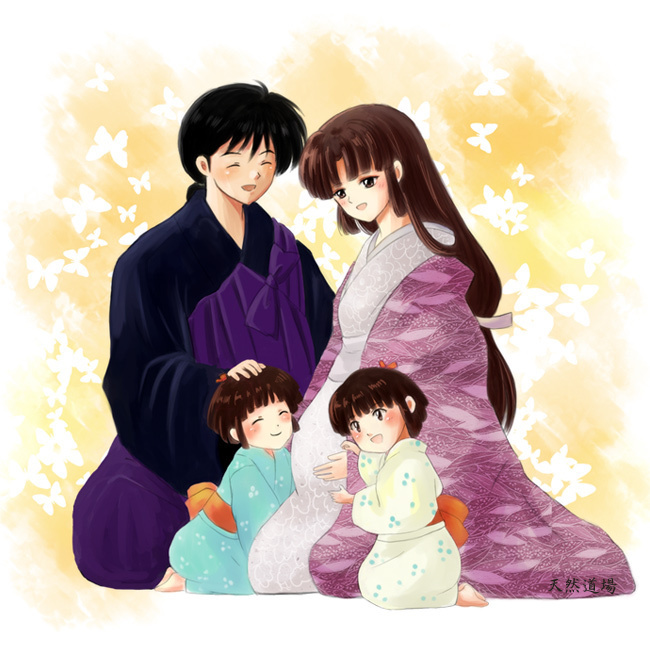 Sango&Miroku - Family. . Wallpaper and background images in the Inuyasha. :The Final Act:. club tagged: inuyasha kanketsuhen final act sango miroku. This Inuyasha. :The Final Act:. fan art might contain prendas de vestir exteriores, overclothes, prendas de abrigo, ropa de abrigo, manchó, retrato, tiro en la cabeza, primer, headshot, primer plano, en la cabeza, and closeup.